Konversation's "Server List" dialog with sample Freenode network entry and the mouse pointer above the "Connect" button. 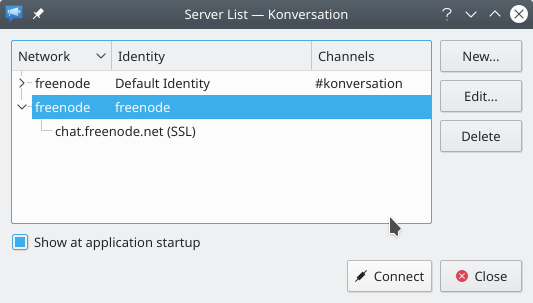 20:30, 10 June 2012 651 × 457 (43 KB) Hein (Talk | contribs) Lowercase freenode's name. 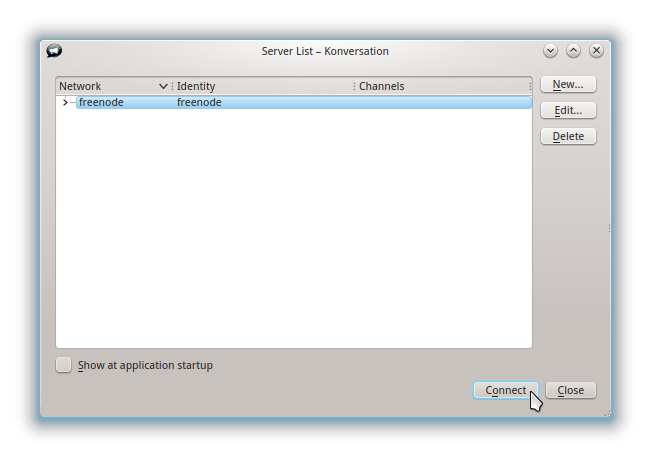 20:04, 10 June 2012 651 × 457 (40 KB) Hein (Talk | contribs) Konversation's "Server List" dialog with sample Freenode network entry and the mouse pointer above the "Connect" button. This page was last modified on 16 January 2019, at 00:18. Content is available under Creative Commons License SA 4.0 unless otherwise noted.